Late Thursday, transportation officials released a statement saying they were dropping several toll projects from long-term plans due to public response. State transportation leaders said late Thursday they will drop plans for using an accounting maneuver to get around a constitutional prohibition on some toll projects. That vow came after The Texas Tribune reported earlier in the day that the Texas Department of Transportation was eyeing tax dollars prohibited from funding toll lanes to cover other constructions of highway rebuilds and expansions that would also feature toll lanes. Texas Gov. Greg Abbott and Lt. Gov. Dan Patrick told state transportation leaders after the initial report that they should abandon those plans. Patrick said the idea has left lawmakers "very unhappy" with Texas Transportation Commission members, who appear "to be going in a direction that opposes the will" of legislators and Texas drivers. Texas voters in 2014 and 2015 overwhelmingly agreed to send TxDOT billions of dollars' worth of new revenue streams. And ballot language said the money could not be used on toll roads or toll lanes. TxDOT, though, was considering accounting maneuvers that would still allow toll lanes to be built. Their idea: Voter-approved funds would be spent on the non-tolled main lanes, while the new toll lanes next to them would be funded through gas tax money, toll revenues or federal loans that don't come with restrictions on using them for toll projects. "It is surprising and disappointing to learn that TxDOT created a plan to add managed toll lanes to virtually every major roadway under consideration," Patrick told transportation officials in a letter Thursday. Abbott appoints the five commissioners that oversee TxDOT and promised Texans that highway capacity would be added throughout the state without new toll lanes financing construction. 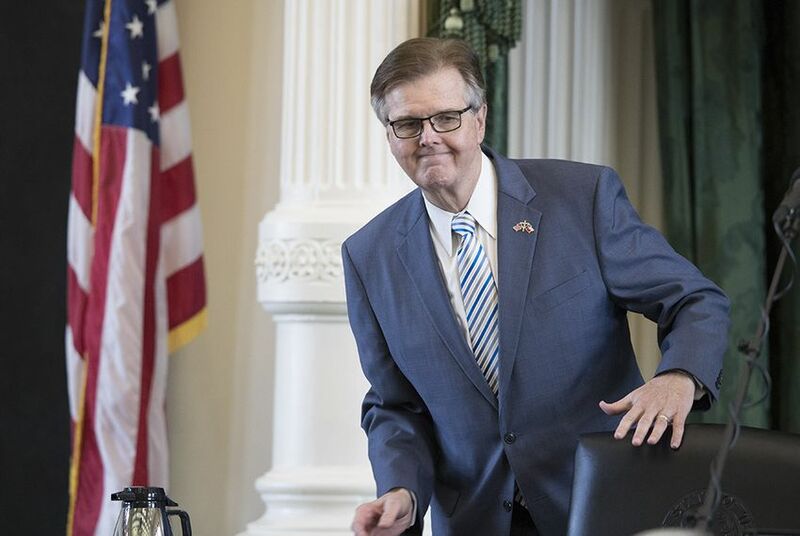 "The governor and his staff have been in constant communication with members of the Texas Transportation Commission and TxDOT staff to express their desire to not include new toll roads" in long-term state transportation plans, Abbott spokeswoman Ciara Matthews said Thursday. “The Texas Transportation Commission fully understands and is committed to continue to use the funding from Proposition 1 and Proposition 7 for non-tolled projects,” commission chair Bruce Bugg said in a statement. Meanwhile, State Rep. Joe Pickett, D-El Paso, has asked the state attorney general's office to weigh in on whether the accounting idea is legal. Lawmakers in recent years have fiercely opposed toll roads and managed toll lanes as their constituents have complained about the increasing number of such projects, especially in North Texas. Collin County lawmakers successfully got regional planners there to drop plans for turning carpool lanes on Central Expressway into managed toll lanes. And the Texas House earlier this year killed a major transportation funding bill, largely because projects within it would have included toll lanes. TxDOT officials' idea comes as they prepare to update the state's long-term transportation plan next year. Many of the projects being proposed for the plan include managed toll lanes, which run alongside non-tolled main lanes and generally charge drivers rates that vary based on usage. The tolls increase as more people use the managed lanes. Those increases are meant to prevent the lanes from becoming more congested. Transportation officials say funding the managed lanes with federal loans backed by toll revenues, while adding non-tolled main lanes with tax dollars, would help the agency build more capacity with limited funds. In meetings, TxDOT documents and interviews, state officials have also indicated that regional planners from the state's major urban areas are pushing the idea of using managed toll lanes. Once toll revenues pay off construction costs, the excess funds that drivers would still pay could then be used to maintain existing roads or pay for expanding or building roads in the same areas. "These local communities are trying to identify solutions to manage and mitigate their traffic congestion throughout their respective areas," TxDOT project planning and development director Lauren Garduño told transportation commissioners last month. Clarification: This story was updated to note that toll revenues could be used as a source of financing for new managed toll lane projects.